Hello! Hooray! shop is now open | Hello! Hooray! 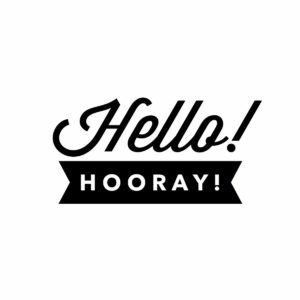 I am SO excited that the Hello! Hooray! Shop is now open! After several months of working a couple of hours a night once Little One has gone to bed, or snatching the odd hour while she was sleeping in the sling, it feels brilliant to finally get it up and running. It has been open for almost a couple of weeks but I just haven’t been able to sit down to finish this post, so I’m very excited to be able to tell you all about it now! I am doing my first workshops in November and December – they are both sewing workshops and you’ll be able to complete a project in 3 hours. The first is on Saturday 19th November and it’s a vintage floral embroidery workshop. My design is inspired by vintage tablecloth designs, which I love. 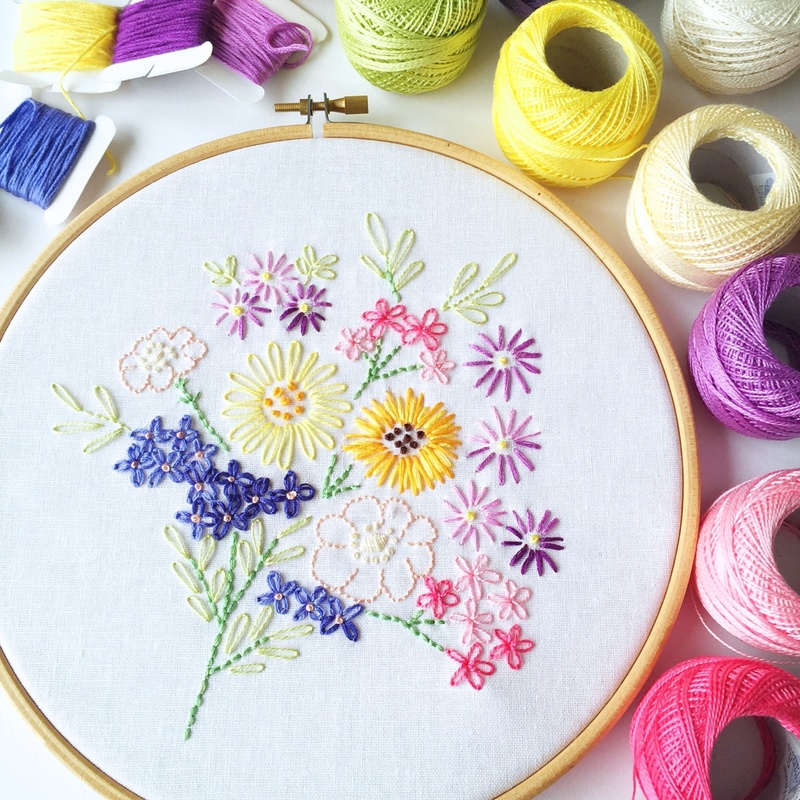 You will learn straight stitch, back stitch, lazy daisy, satin stitch and French knots. I’ll also show you how to transfer your design on to the fabric, and how to finish the back of the hoop so it’s ready to display. There will also be cake – yay! 🙂 Places are limited to 6 so that you can ask lots of questions on the day. My second workshop has a festive feel – we’ll be learning counted embroidery to stitch a festive felt Christmas decoration. You’ll also get materials to take away to make another one! This workshop is on Saturday 3rd December. My first two workshops are taking place at The Glamorous Owl in Newcastle. It’s a super little shop that supports local artists and makers, and they have a great workshop space upstairs. I’m really grateful to Claire for contacting me to offer the space – I love it! I’m also selling downloadable patterns in my shop, which I love designing and stitching! I decided to go down this route because as a crafter, I don’t really like making loads and loads of the same thing. I’m always excited to start a new project, and I’m just not in a position to be able to do loads of stitching to sell the finished article. There’s also the usual ‘I could make that!’ thought that I personally often have, so I decided that selling my patterns would be the way to go. I designed the vintage-inspired floral bouquet (pictured above) which is available to buy now. There will be more patterns added soon, so I’ll let you know when they’re available! If you buy one of my patterns or a place on a workshop, then you’ll be invited to join the ‘Hello! Hooray! crafters’ Facebook group. You’ll be able to watch stitch tutorials, ask me any questions about the pattern or project, and get to know other lovely crafters too. Yay!